Start your review of Justin Hoffart. Thank You! 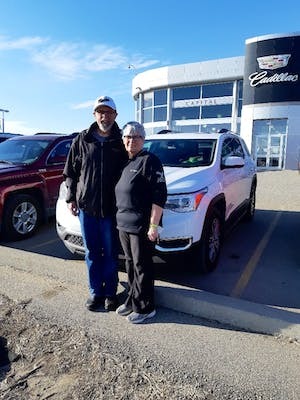 Your message has been sent to Justin Hoffart at Capital GMC Buick Cadillac. Sales department well organized and efficient. Dean Mason clearly explained all car’s features. He planned a comprehensive test drive that covered a variety of road conditions. Matt in finance was knowledgeable and helpful. After the sale Dean showed us around the dealership. He also helped us set up the OnStar and the info tainment system. We met Alex in Service who explained how the shop works. Justin, the sales manager, was friendly and easy to work with. All steps of buying experience were easy, understandable, and enjoyable. I purchased a previously owned 2016 Nissan Titan XD from Ankesh Gupta (Kash) at Capital GMC in Regina over the phone, site unseen because I live in BC. Most of the correspondence was done via email which were always very prompt. All my questions were answered and I feel that I got a very price on the truck. Shortly after leaving the dealership after the purchase there was an issue with one of the accessories failing. Because I was already out of the province it would have been pretty easy to get the run around but Kash and Justin took care of it and rectified the problem. The after sales service from them is very, very good. 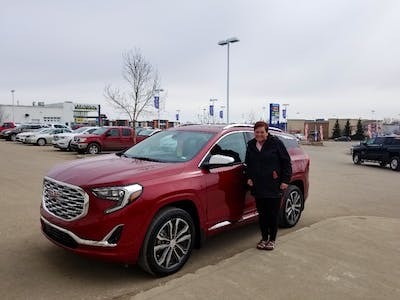 Everyone that spoke to me at Capital GMC was friendly and approachable. Anand and Gage were so helpful and able to get me a great vehicle at an excellent value. Thank you so much! "Fast and painless purchase "
Bought a used vehicle for the first time. Was somewhat apprehensive, but Kevin and the rest of the team were very helpful and informative. Buying process was fast and painless, with everything upfront. Kevin assisted in getting the new vehicle plated and went over the vehicle features.. He also followed up with me after the purchase on a couple of issues. From the time I walked through the door I was always greeted by friendly staff. My experience buying a vehicle was great. They always kept in touch and looked out for my best interest. I would highly recommend buying a vehicle from Capital GMC. 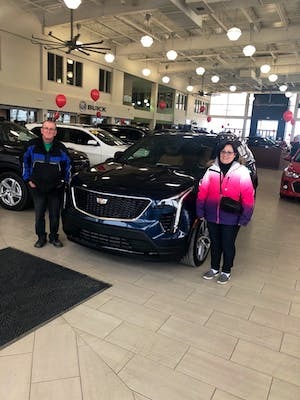 "Fun and exciting purchasing our new XT4 Cadillac "
We were so lucky to Deal with Ankesh on helping us select our new XT4 Cadillac. He was very patient with us during our process in choosing our new vehicle. He provided top notch service. Very knowledgeable on the products. We had so much fun and he made our experience so exciting. 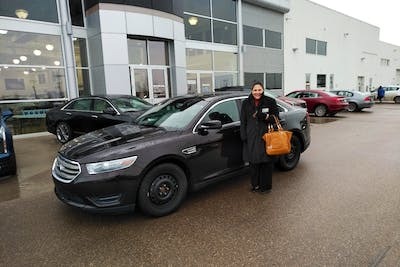 Everyone was so helpful right from the time we walked into dealership and made us feel so welcome to be part of the capital family. Service was good. Great pricing. Great people. Clean building. Nice lot. Easy to work with. Very comforting. Will be back whenever I decide to trade in. Other Employees Tagged: Kien To, Andrew Glaze , One of the johns from parts can’t remember his last name. "Bought nice little Chevrolet Sonic 2018"
Came and test drove a Chevrolet Sonic. Dealt with product specialist Kevin, he was very friendly, as well as with Justin, also good to deal with. Ended up purchasing the car and dealt with Matt in finance. Very happy with my purchase.